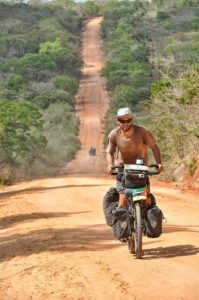 Travel Oscar – KOLOS – for Amazon bikers! 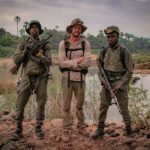 Over the last six months in the pages of explorersweb.com, together with brothers Dawid Andres and Hubert Kisinski, we have traveled the Amazon. 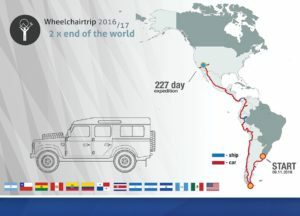 Starting near the Pacific Ocean from the permanent source of the river at lake Ticlla Cocha high in the Andes, where they began Amazonian expedition, and then after covering more than 8,000 km to end on the Brazilian beach at the Atlantic. 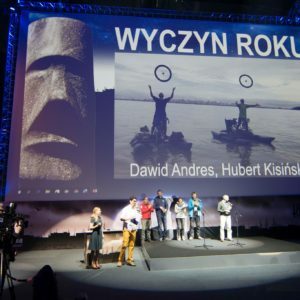 It seemed that reaching the destination at the mouth of the Amazon at the ocean was rewarding enough for the bikers but in Gdynia, Poland they were honored for their achievement with yet another symbolic and very important prize Polish Travel Oscar – Kolos. 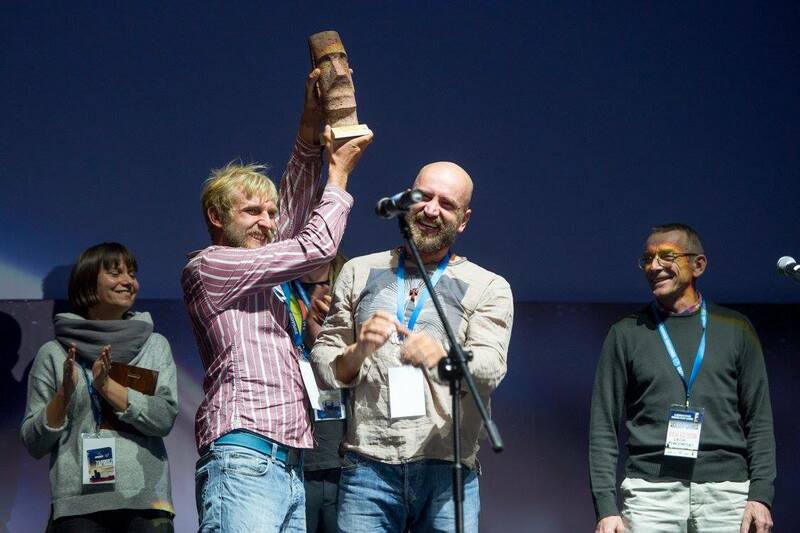 Kolos is one of the most important and prestigous award in Poland given once a year for the most unique and interesting exploration and travel. 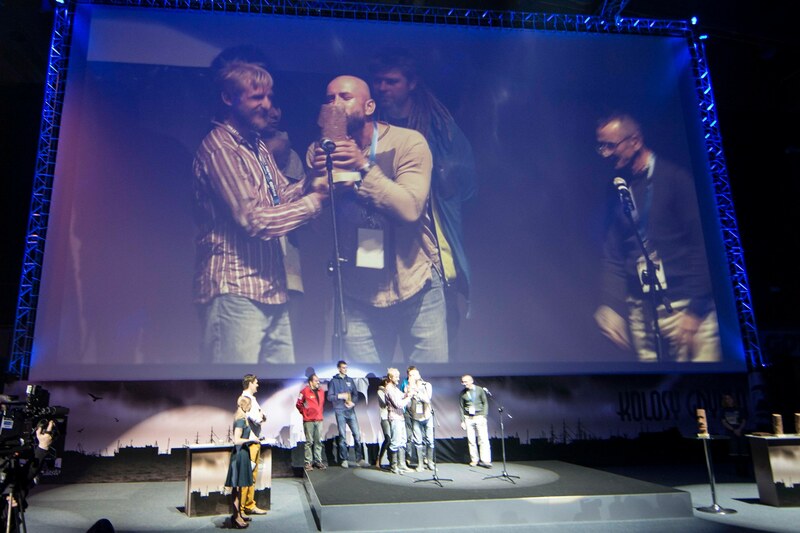 The ceremony of handing this prize is the culmination point of the three-days Meeting of Travelers, Sailors and Mountaineers who present their achievements in front of several thousand audience (about 25,000 total attendees over three days) that come to Gdynia to attend this festival of adventure. 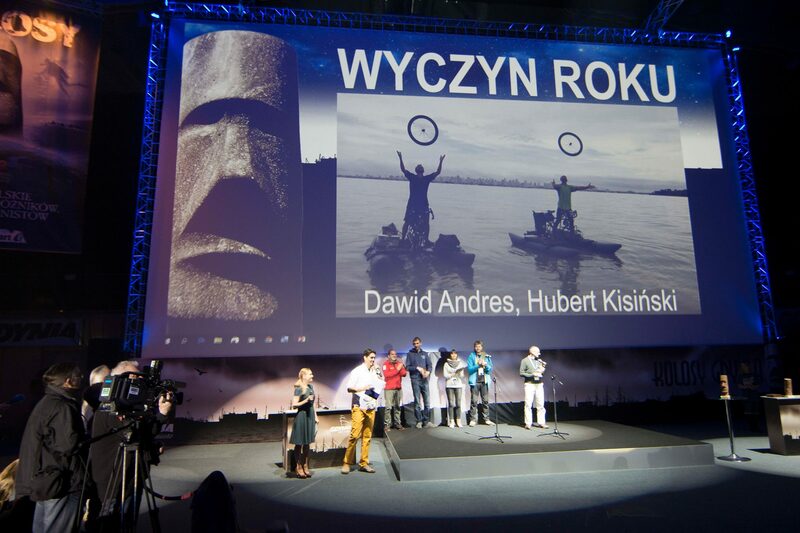 Unshaven, wearing rubber boots, and still dressed the same way from the last six months spent on the Amazon River, Dawid Andres and Hubert Kisiński walked to the stage of the Gdynia Arena to receive the Kolos 2015 in the category of “stunt achevement”. 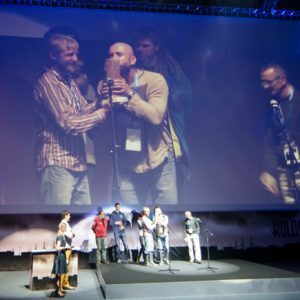 The award completely surprised them, which was shown by their emotional reaction that brought tears to the eyes of almost half the audience. 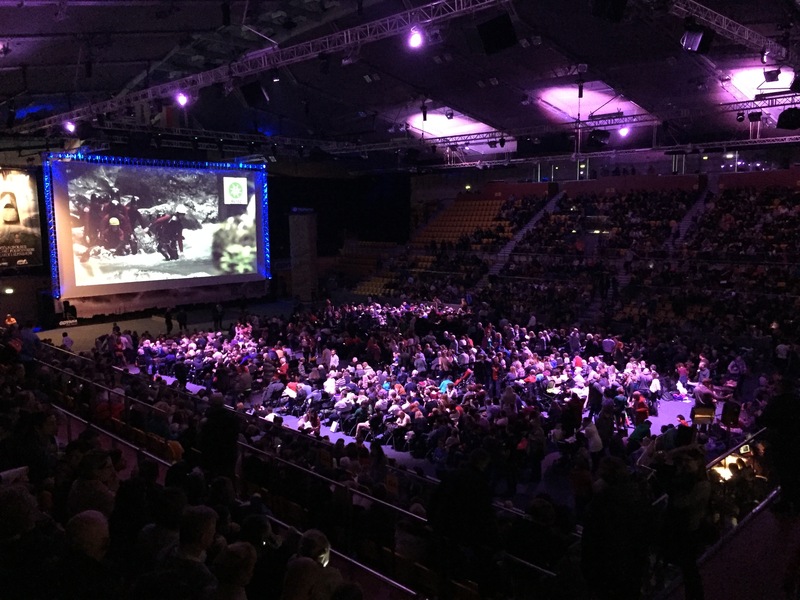 You could say that the projection on the tape qualified them to participate in The 18th National Meeting of Travelers, Sailors and Mountaineers – Kolosy 2015. 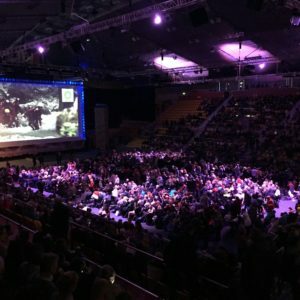 They came to Gdynia almost straight from the Amazon, hence their quite original look presenting on the one hand their typical daily appearance in the jungle, and on the other – symbolizing that they were still on an expedition rather than back in reality. 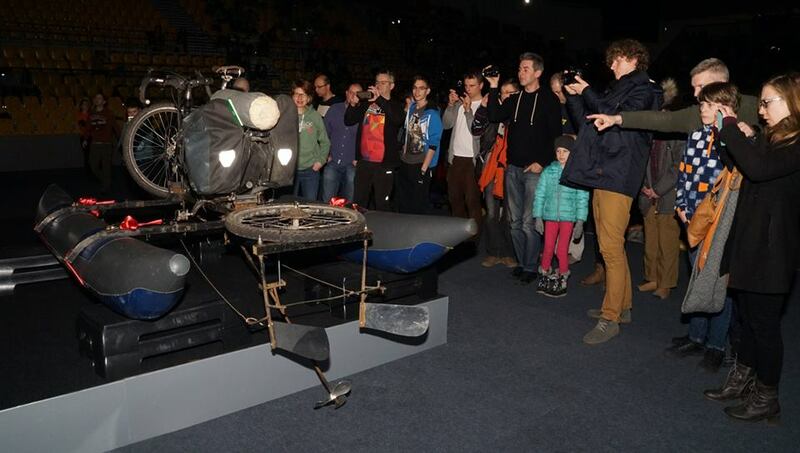 They had just reached the Atlantic in early March after a six-month expedition, and a week later they stood in front of several thousand people to talk about their experiences and show one of their Amazonian bikes, which traveled the entire length and the largest river in the world. 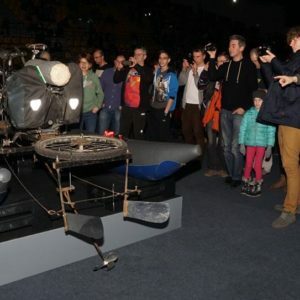 – Facing such a huge audience proved to be almost more challenging than meeting with the pirates on the Amazon River – said the brothers, who got very nervous on stage during the performance, and slightly overcome with emotion they lost a little bit of their normal spontaneity and wit. 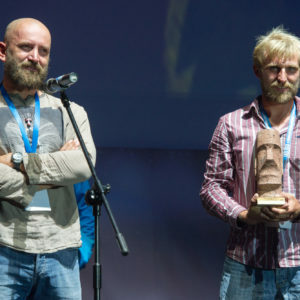 Even more of a surprize to them was the verdict of Chapter of Kolosy 2015, which recognized their achievement – biking on their own,along the Amazon from the river’s source to its mouth in the Atlantic, continuously and at every stage in the direction of the current – as the most interesting feat of this year’s competition! – Not so long ago I did not know what Kolosy was, and today this distinction! 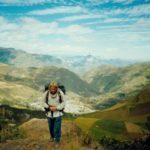 – says jubilant Dawid Andres – When we set off on a journey through the Amazon we did not take into account any records, awards or contests. 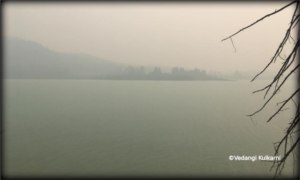 We took on the challenge to prove to ourselves that we could handle it. 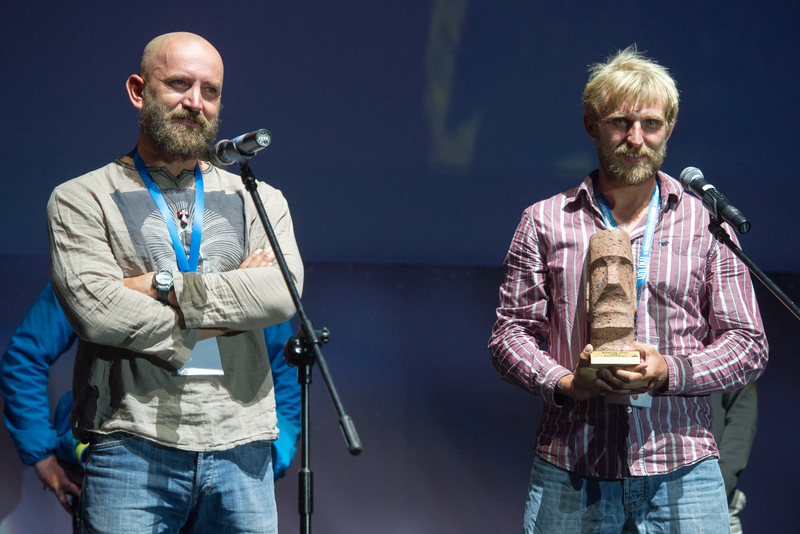 After reporting to the Kolosy of course we started dreaming of some form of recognition, but very quietly. And the dream has come true. – Kolos 2015 will remind me forever of what gives strength to carry out even the most difficult goal: consistency, determination, and a sense of fraternal bond – and from a distance – closeness and support of family and friends – Hubert adds happilly.